No, it’s not insects or pests that I am concerning about but real robots that can accompany you and relieve your jaded mind. 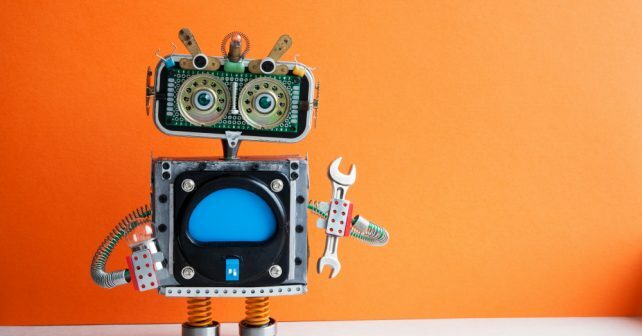 Robots can entertain you not only in movies such as Wall-E, Big Hero 6, Chappie, or even Next Gen but in actual life, it has now become a reality. They are being designed to entertain during dull times and a companion whenever you are in the midst of being single, alone, that is. 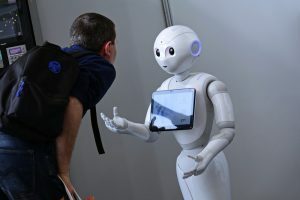 There are many robots created and developed these days, some are in the development stage, others in the research stage, while others are already roaming in an institution or even greeting people at certain places. A famous Japanese company also developed three robots that help alleviate the lives of some people. These robots are HOSPI-Rimo (remote intelligence and mobility) which was formed for hospital use; the RoboticBed which was designed for people with limited mobility movement from wheelchair to bed and vice versa; and the Hair-Washing robot revealed for, you guessed it right, for hair-washing processes. There is also a JackRabbot 2 or JR2 at Stanford University that focuses on human social interactions and etiquette. Robots are also being developed by Buddy Mobility in Norway and already introduced by Deutsche Post in Germany to deliver mails. There is even a robot which is already at the research stage and it was developed to scrub toilets. Truly, the robotics field has come a long way already. From being a fig of imagination and now becoming a part of the human civilization. For the holiday season, you can buy robots as gifts for your loved ones and friends. You may also choose to have it for your own personal use. For animal lovers, you can buy Aibo which is a puppy robotic dog that resembles the movements of a real dog. This robot can do facial expressions, canine movements, and dog behaviors. In fact, its artificial intelligence was created to learn dog tricks and even recognize human faces which is truly a remarkable feature for a puppy robot. It has a selling price of around 2,900 dollars and is offered by Sony. For those who are a little disorganized in life, you may opt to buy Anki’s Vector robot. Vector is a little robot that has dainty LED eyes that are notably expressive especially when you arrive at your home already. This robot can answer some of your questions and can be your companion plus it can also do picture-taking if you want it to. You can also play cube with this miniature robot and Vector can even call the names of your children. It costs around 250 dollars and it will be a cool thing to be present at your place. Amazon company also developed a robot. They integrated their own Alexa on Lynx which is a smart home robot that can be set up to learn new information. By using Amazon Alexa voice assistant, Lynx can answer questions, play music, set alarm, and will always be there to do things for you with a fixed smile on her face. Yes, Lynx has a gender and it is female. She is twenty inches tall and can also perform artistic activities including dancing, singing, and even do yoga movements whenever you are in need of a yoga companion. She can speak whenever she received any calls and you will hear her speak of it which is similar to having a conversation with a real person. Amazon is offering Lynx at a price of almost 800 dollars. Pet lovers also have a take from this robotics technology. Kickstarter’s Pupple developed a robot which is also named Pupple and is worth 349 dollars. It has high-definition cameras, interactive robotic ball, and a mechanism that toss treats to your pets. This robot can let you know if your cat or dog is hungry and can keep them active when you are away. Household chores are also sometimes getting neglected whenever you are not in the mood to do it. There are robots that you can buy to help you with this. You can buy WINBOT X priced at almost 450 dollars and it will help you in cleaning your glass windows. The Roomba i7+ robot vacuum can automatically dispose of bin bags when it is time already which is a plus for its cleaning purposes since you do not need to worry in disposing of trash bags for several weeks. 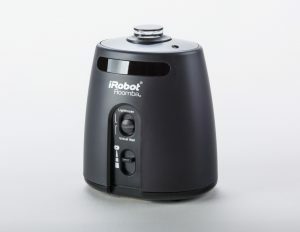 This latest version which is developed by iRobot is priced at around 950 dollars. It has a special Imprint Smart Mapping system for letting you decide on what rooms to clean, how it will clean the room, and when you want Roomba to clean. Another clean-efficient robot is the one developed by Coral Robots and its name is Coral One which is priced at 495 dollars. This is another robot vacuum that will clean almost all parts of your house including curtains, floors, countertops, and even sofas. It has its own nozzle accessories and handheld components similar to a vacuum machine plus its own cleaning modes including a standard mode for solid surfaces and turbo mode for thicker surfaces. For those who are just interested in reading about robots, you can purchase modern books such as Robot Rules by Jacob Turner, Robot Rights by David J. Gunkel, The Future of Humanity: Terraforming Mars, Interstellar Travel, Immortality, and Our Destiny Beyond Death by Michio Kaku, The Robot and Automation Almanac – 2019 by Jason Schenker and The Futurist Institute, How Smart Machines Think by Sean Gerrish. There are many other robots in the market today which you can buy. It really depends on what your intentions are in buying one. The increasing demand for making life convenient and also the desire to look for companions while being entertained make robotics companies develop more robots that are really valuable. These companies developed them to the extent that they adjust their artificial intelligence to have social and emotional intelligence too.